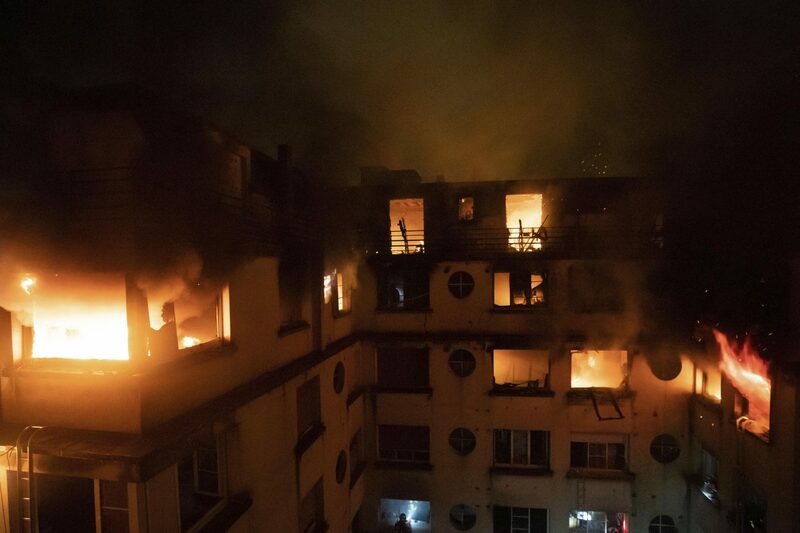 PARIS (AP) — Paris' deadliest fire in over a decade killed at least 10 people Tuesday as flames engulfed a nine-story apartment building, sending residents to the roof and clambering across balconies to escape. In an interview with Le Parisien newspaper, the 22-year-old firefighter said he returned to the building a few minutes later, shortly after midnight, hoping the woman had gone. Instead, he ran into her in the stairwell, which was already beginning to smell of smoke. "She wished me good luck, telling me that I loved flames," he recalled in the interview. Survivors described a chaos of smoke and flames, and the young firefighter said he ran upstairs to try and evacuate the building. One neighbor recalled clambering out of her eighth-floor apartment and over balconies to reach safety. "I climbed across several balconies, with nothing beneath, and then was backed into a corner. There were people climbing hand-over-hand to get to where I was and escape the flames," said a resident identified only as Claire, her eyes wide with shock soon after her rescue. Samuel Petrequin, Nicolas Garriga, Angela Charlton and Elaine Ganley in Paris contributed. This article was written by Thomas Adamson and Lori Hinnant from The Associated Press and was legally licensed through the NewsCred publisher network. Please direct all licensing questions to legal@newscred.com.